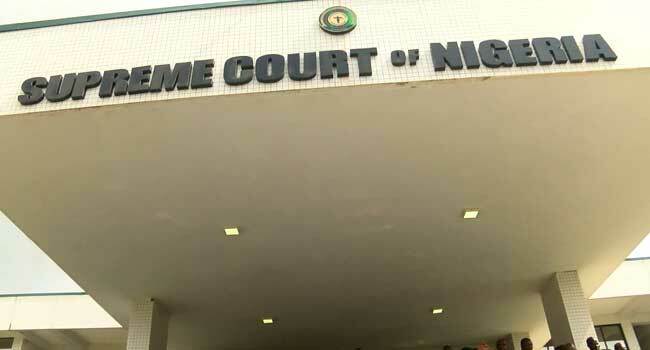 The Supreme Court on Monday, struck out three appeals filed by the two Rivers APC factions challenging a High Court ruling that barred INEC from recognising APC candidates for Rivers elections. A five-man panel led by Justice Bode Rhodes-Vivour on Tuesday, struck out the three remaining appeals filed by the APC, Ojukaye Flag-Amachree and Tonye Patrick Cole, challenging the court’s decision. According to the court, the appeals were filed outside the time allowed under Section 285(9) and (12) of the Constitution as amended by the 4th Alteration Act. Justice Amina Augie who read the ruling of the court, said the appellants were not parties to the original suit and were not allowed by the Court of Appeal in Port Harcourt to appeal the October 10, 2018 judgment, because they filed their appeal out of the required time. Augie noted that the appeals are statute-barred. The ruling comes as a major setback to Tonye Cole, who had expected the court to get INEC to officially recognise him as the APC governorship candidate for Rivers state.